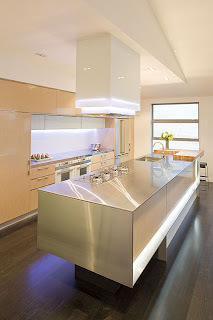 The most important thing in designing a good kitchen is about the functionality and efficiency. 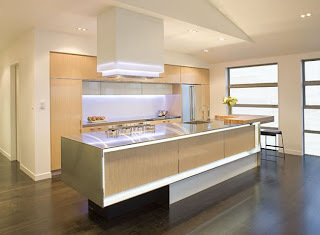 Intelligent design would be a solution in the convenience of kitchen users in the move to prepare and process food. 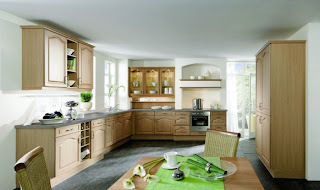 So, it's a good solution to create a smart kitchen in new or kitchen remodeling to get a modern kitchen. 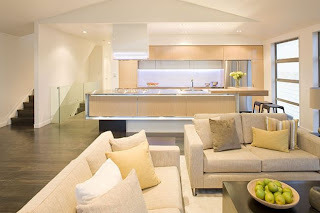 Kitchen layout in the photo has a very unique space and attractive, which lies directly connected to the kitchen dining room and family room. 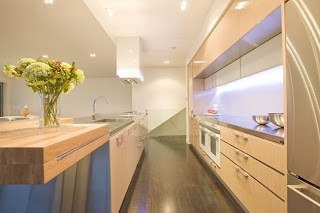 The relationship between this space can be optimized by designing a kitchen set double line.